If you want your child to grow up to be a billionaire, you should do what it takes to get him into Harvard University. 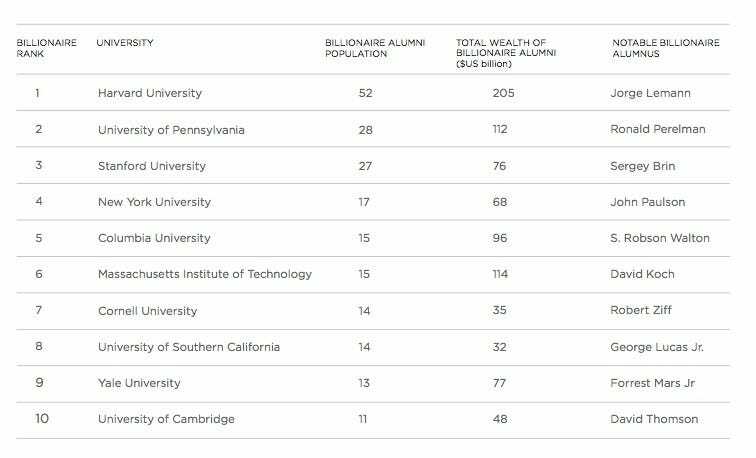 The elite Boston school has minted more billionaire alumni than any other university — 52, who are worth a total of $205 billion, according to a new report from research firm Wealth-X. 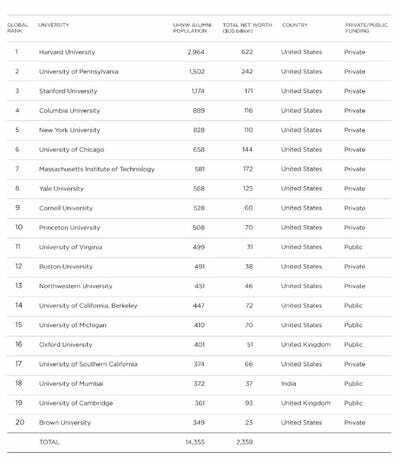 That’s almost twice as many as the University of Pennsylvania, the school with the second most billionaire alumni. 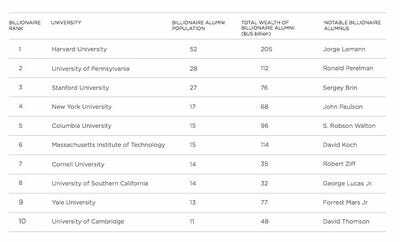 Penn has 28 billionaire graduates, worth a total of $112 billion. 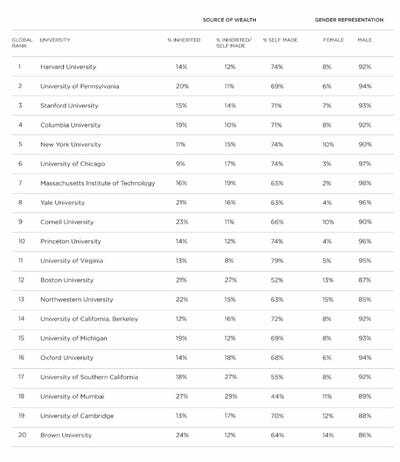 Harvard also has far more ultra-high net worth alumni (worth $30 million or more) than any other school, at 2,964. Penn has 1,502 alumni in that category, and Stanford University has 1,174. Harvard’s wealthy grads aren’t just a bunch of lucky heirs and heiresses. Nearly three-quarters of Harvard’s billionaires are self-made. 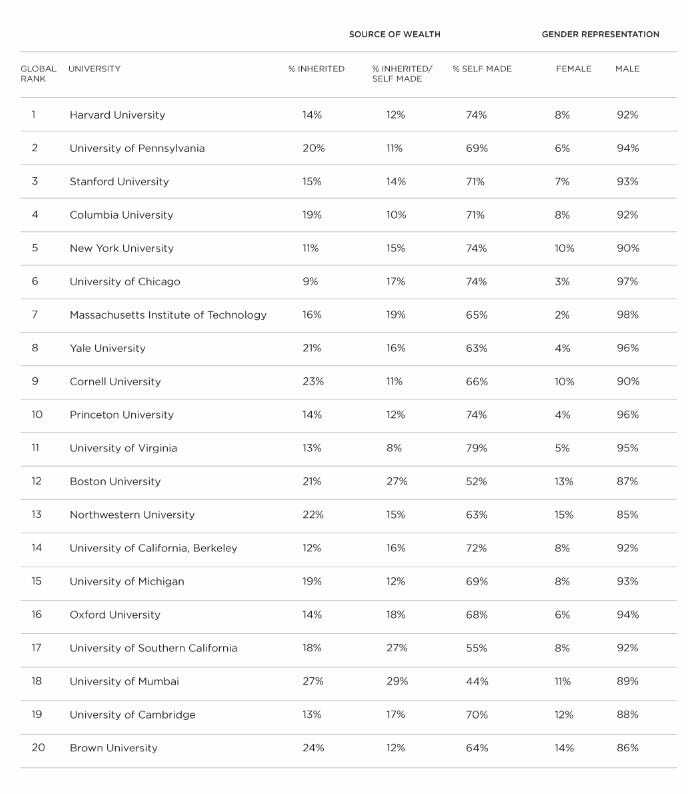 Of the 20 universities with the most UHNW alumni, only three are located outside the U.S. 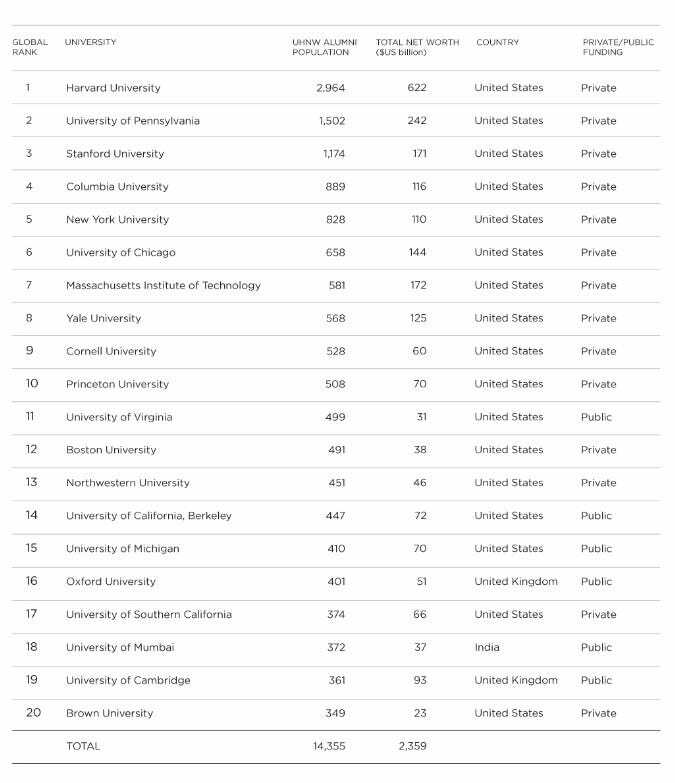 The University of Virginia was the highest ranking public university, coming in at #11 with 499 UHNW graduates worth a total of $31 billion.